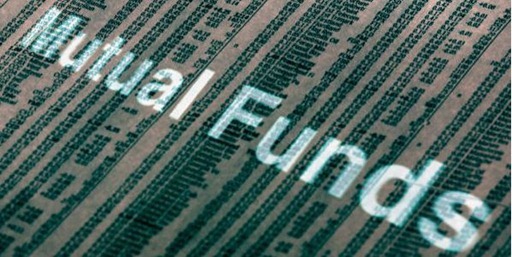 A couple of weeks back, SEBI had proposed a wide range of changes in the rules governing the operation of mutual funds. One of such proposals is related to the dividend pay-out from mutual funds to the unit holders. Sebi has imposed a stringent policy measure on mutual funds which bars them from tapping the premium reserve to distribute dividends. In short, SEBI wants to ensure that the fund houses do not dole out dividends out of the funds deposited by the investors of the scheme, but from the actual profits booked by the funds. By way of imposing this policy initiative, the regulator wants that the fund houses, which often use such dividend pay-out tricks as a marketing tool to attract fresh investments from investors, follow diligent practices in announcing dividends which ought to reflect the positive on-the-ground developments like earnings from their investments. Take, for example, suppose there is equity linked new fund offering (NFO) with a face value and net asset value (NAV) of Rs.10 a piece, under which the fund house garners investments of Rs.300 crore. After 3 months, the investment made by the fund house in the equity markets registers an appreciation of 5% which rise in investment value at Rs.315 crore. The NAV appreciates to Rs.10.5 a piece. As per the new directive, the mutual funds can use this 0.50 rupee appreciation in the NAV to distribute as dividends. Even this 0.50 rupee a piece of profit should have been actually booked by the fund houses, in order to be able to be distributed as dividends to the unit holders under the scheme. As per the new proposal, even the mark-to-market returns are not good enough to be distributed as profits. However, there is one another side to the debate too. As per the new norm, the fund houses, in order to distribute dividends, will have to book actual profits and can not bank on the mark-to-market gains recorded by the schemes. In such cases, the fund houses may not be able to hold on to their investments for truly long term to squeeze in higher compounded annual growth gains. In order to keep unit holders content and remunerative, the fund houses have to periodically resort to dividend distribution measures. Hence, such policy measures tend to encourage fund houses to book gains as often as possible to reward the unit holders by way of dividends. In effect, this measure, proposed by the Sebi, can be termed as a mere accounting twist, which entails reduction of NAV to the extent of dividend distributed. The value of their actual investment comes down (as NAV slumps to the extent of dividend distributed) and that much money is compensated in the hands of the unit holders. As a net effect, the game remains unchanged with respect to the investments of the investors. However, the fund house may have to periodically resort to booking gains which could mar the prospects of higher returns over longer duration. Thus, this policy initiative could change operation mandates of mutual funds from being a long term investment bet to somewhat trading and medium term bets. What do you feel? Will this new Sebi initiative be positive or negative for the investors and fund houses both? i read an interestin line on twitter for Motilal Oswal Ltd. it read as “Short term thinking is the enemy of long term investment success ! !” i thought it was kinda insightful.. I was fortunate that an ex-colleague and close friend explained me the entire fundas of MFs after undergoing a course that distributors usually do (AMFI? i forget..) That the dividends declared by MFs was altogether different from that of equity was clear – although it appeared a futile exercise then. Perhaps it was meant to lure investors who did not understand that MF houses were pulling wool over investors’ eyes. Although the concept of MFs is great for investors who would not want to dabble directly into equities, the slew of MFs have also made choosing the fund equally daunting for those who dont understand equity markets! You’re absolutely spot on. The dividend policy of MF is different from Equity. In that, dividend from equity is usually from surplus reserve earned through accumulation of actual earnings. Whereas dividends from MF could be either from booked profits or even usual deposits from fresh/regular investors. Most of the fund houses dole out dividends in order to attract more investors instead of mentality of actually rewarding the investors. The commercial wisdome has over-taken the conventional wisdom of working.